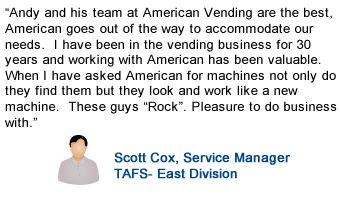 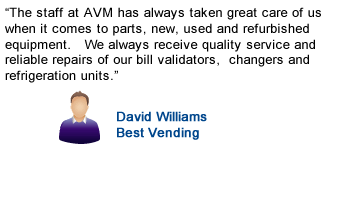 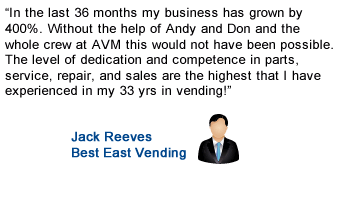 Vending machines and equipment sold by American Vending Machines are thoroughly tested to provide the highest quality service and reliability for even the most demanding vending service requirement. 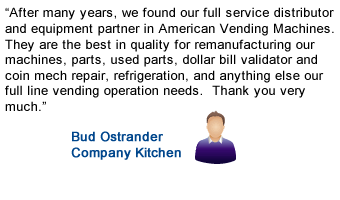 Note that some products are warranted for extended periods. 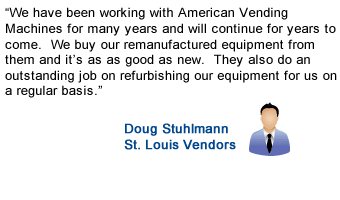 Any extended warranties will be provided in writing at the time of sale. 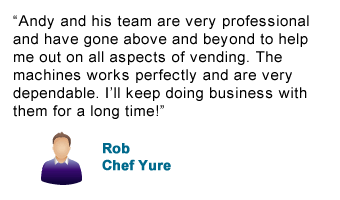 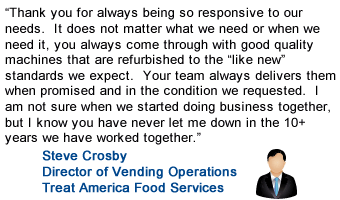 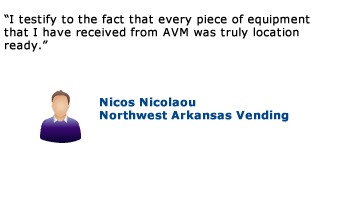 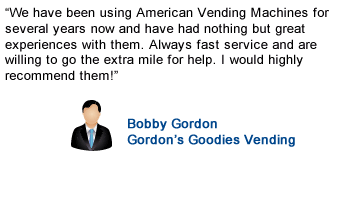 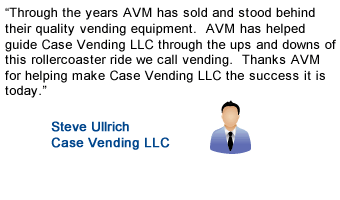 For additional information, contact us online or call our customer service center at 1-888-818-VEND (8363).